IE: Are there any that you’re more excited to approach than others? 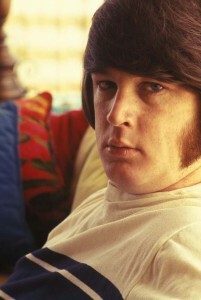 Brian Wilson: Not really. Well, “California Girls” I look forward to, and “Good Vibrations.” I look forward to those. IE: Is there anything about those songs that you don’t get to touch on in your newer material? BW: We try to put all our heart and soul into everything. IE: You mentioned Joe Thomas was your main collaborator. What about the others? IE: So the collaborative spirit was there. IE: Are you making improvements on the old songs? BW: Yeah, we’re trying to make them sound just as good as they did then. IE: Has there been any conversation of the legacy of the band and how it fits into today’s climate? BW: We said we’re not real current; the music isn’t today’s kind of music. But it’s just as good or better than the music of today. IE: What’s your barometer for that? BW: Harmonically, I guess. Just the harmonies. It’s got the energy, too — there’s a lot to it. IE: Can you notice recurrent themes in the music you’ve made through the years? Certain melodic signatures, etc.? BW: Not just the harmonies, but the melodies are good. The lyrics are very interesting, you know? IE: Have there been any challenges in putting this together? BW: We’re challenged to make it sound good. IE: Are you a perfectionist in that light? BW: Yes I am. I’m a perfectionist in the sense that I don’t want the guys to sound crappy. And they’ll say, “We sound good.” Sure, we sound good, but we can’t sound crappy.